Ida Mary Senft married Charles Francis Houghton, son of George Henry Houghton and Eva Suoro, in Jul 6, 1896 at Providence, RI, USA. Dr. Paul Peachey MD married Janice Marie Plette, daughter of William Sherman Plette and Bernice Anna LeBlanc, in May 28, 1972. Edith Petty Marty married McKinley Houghton, son of Hugh Manley Houghton and Alice D. Remine, in Nov 27, 1918 at Fall River, Fall River Co., SD, USA, age 22 and 17; SD marriage certificate: 27 Nov 1923, but ages indicate circa 1918; mar in 1920 census. Barbara L. Houghton married Jack N. Ballinger in Nov 10, 1943. Jack N. Ballinger married Barbara L. Houghton, daughter of McKinley Houghton and Edith Petty Marty, in Nov 10, 1943. Bertha Ann Barber married Theodore Franklin Houghton, son of Theodore Mortimer Houghton and Annie Eliza J. Rutledge, in Apr 30, 1907 at Waco, McLennon Co., TX, USA, mar 3 y in 1910 census. Bertha Ann Barber married Robert L. Ewing in circa 1924 age 44 and 45. James Champion Houghton married Verna May Oaks in circa 1912 age 22 and 15. Agnes Alice Hromas married Robert Bell Houghton, son of Edward Clark Houghton and Florence Amelia Bell, in Apr 12, 1962 at San Diego, San Diego Co., CA, USA. Robert Bell Houghton married Mildred Dean in 1942. Robert Bell Houghton and Mildred Dean were divorced. Robert Bell Houghton married Rosa H. (? ), daughter of (?) Nohra. 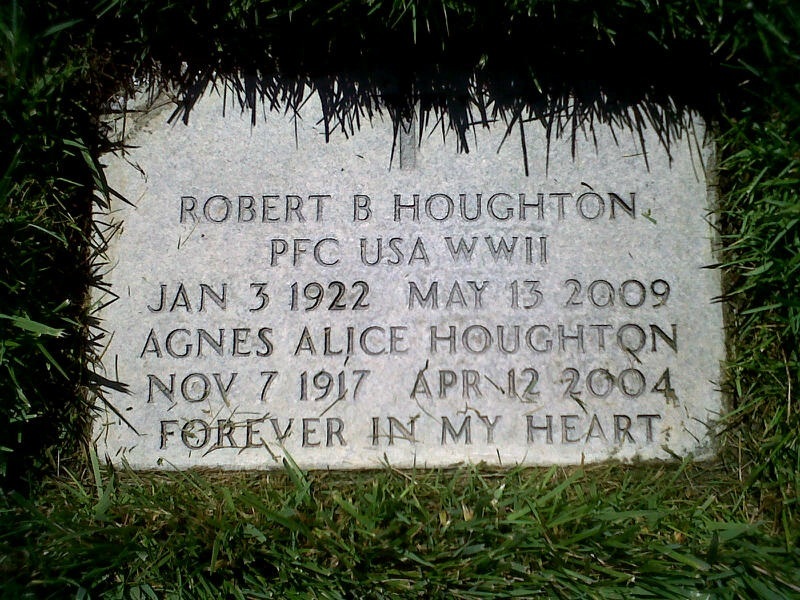 Robert Bell Houghton married Agnes Alice Hromas in Apr 12, 1962 at San Diego, San Diego Co., CA, USA. Jon Alexander Peachey married Rebecca Jean Schlender in Aug 29, 1998. Rebecca Jean Schlender married Jon Alexander Peachey, son of Dr. Paul Peachey MD and Janice Marie Plette, in Aug 29, 1998. Steve Dillon married Susan Elizabeth Plette, daughter of William Sherman Plette and Bernice Anna LeBlanc, in Nov 3, 1984. Steve Dillon and Susan Elizabeth Plette were divorced. Josiah Houghton married Sallie Dickinson in circa 1825 at NY, USA.